Channel surfing at any given time on any day will tell you all you need to know about the health of the do-it-yourself trend: It remains alive and well. From one-room paint jobs to the installation of flooring and even plumbing, avid DIY customers range from the casual to the diehard. 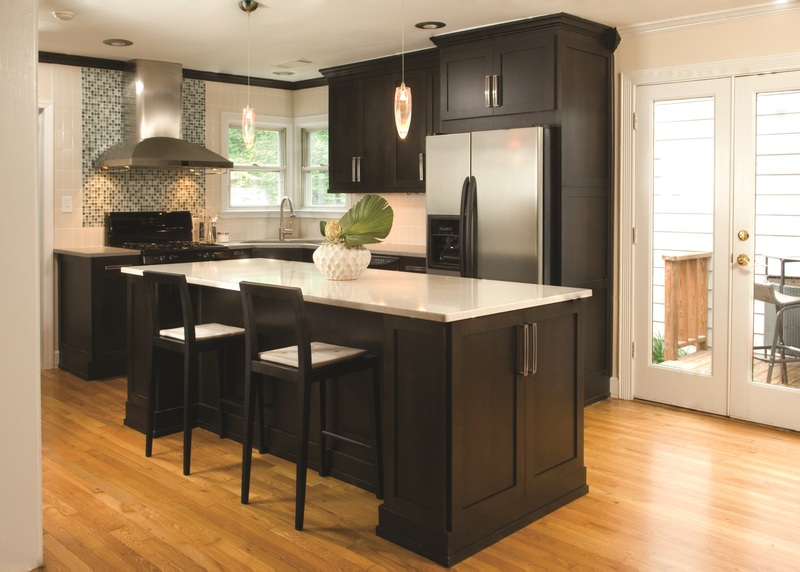 Catering to those independent home improvers is Barker Cabinets, a Tualatin, Oregon-based cabinet company that provides high-quality products designed and assembled by its clientele. 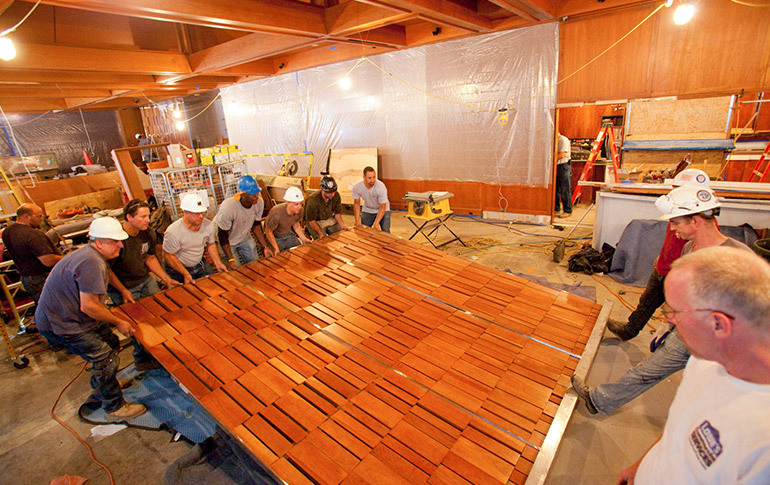 among the fastest growing wood manufacturing companies listed in this year's Inc. Magazine INC 500. The company began performing custom design and installation upon its inception in 1978, but has since transitioned to a business model that entails website-based custom design performed by its customers. 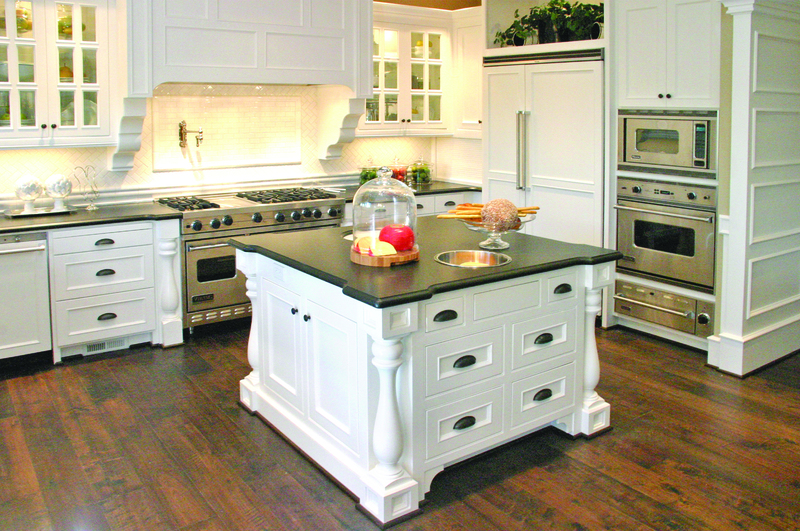 Barker builds 40 different varieties fo base cabinets. 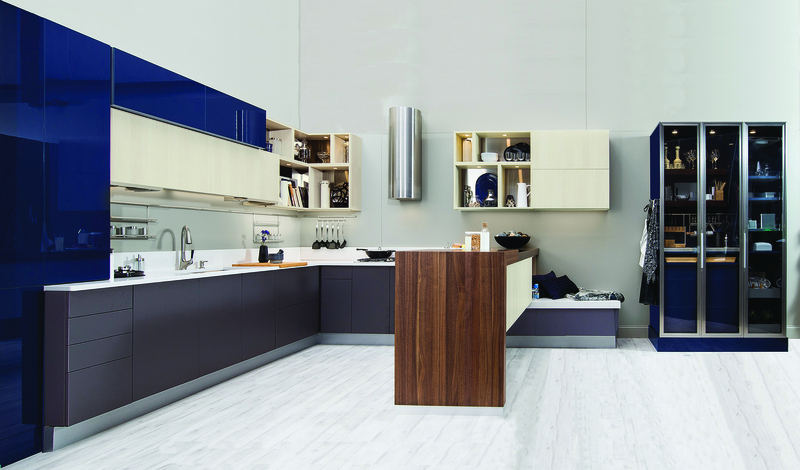 That customization can include the addition of rollout and pullout drawers and shelving, changes in product widths and materials, and more. Because there is no overhead involved in creating a concept, the company is free to design and post new products online to gauge potential customer demand. 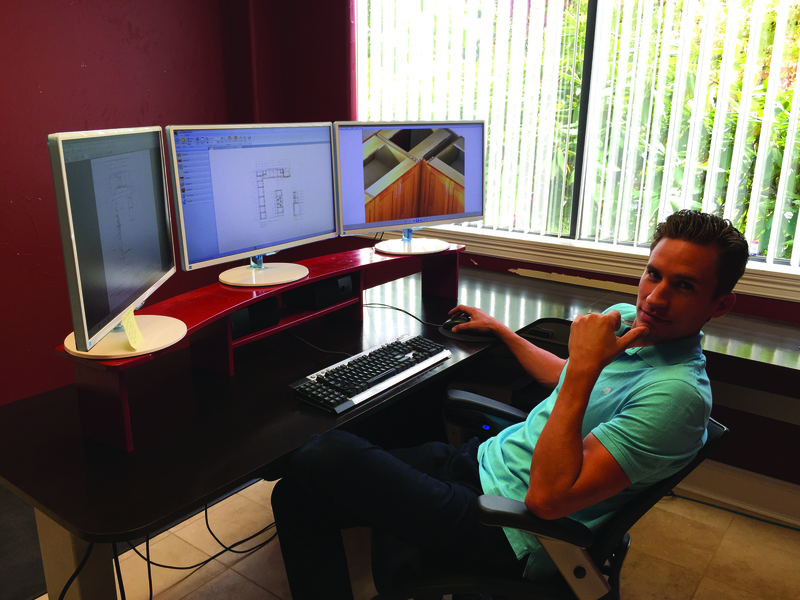 Chad Barker, a former business major, says he is passionate about the technological aspects of modern woodworking. "Cabinet Vision is the hub of our business," he adds. In the mid 1980s, Barker Cabinets acquired the Cabinet Vision design-to-manufacturing solution to support its design and operational processes. In 2000, the company implemented CNC machinery — an effort spearheaded by retired company co-founder Bruce Barker, Chad Barker’s father. With the newly integrated Morbidelli routers, the necessity of Cabinet Vision grew more apparent. While Bruce Barker is an avid woodworker of the traditional variety, Chad Barker — a former business major who had initially foreseen a career in finance — is passionate about the technological aspects of modern woodworking. As the company evolved and ultimately became Internet-based, its overarching goal was to become a production business without sacrificing any of the quality that made it a customer favorite. Barker implemented CNC machinery in 2000. Because the work is custom and never entails focusing on a single product, the work is diverse and part of the challenge of production is in juggling multiple design elements. 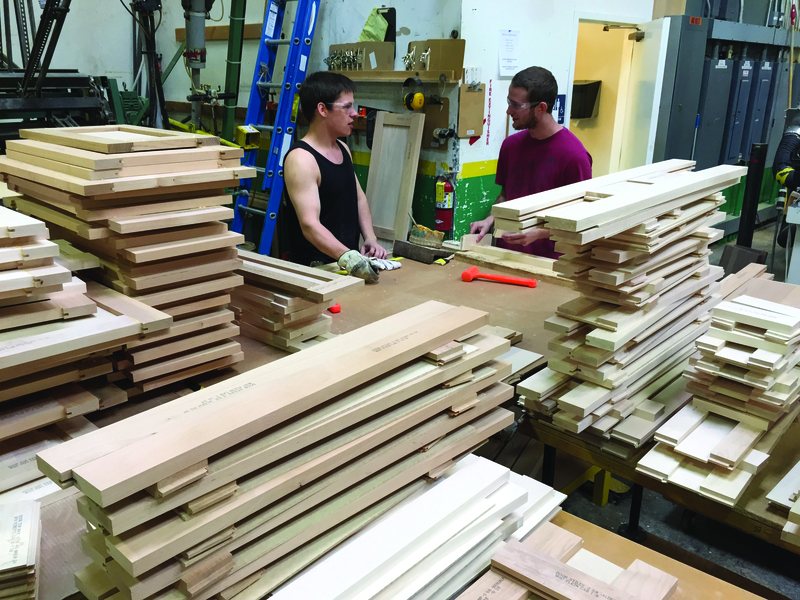 To make Barker Cabinets’ custom products, five employees devoted entirely to layout are on the ready to input measurements for customer orders. Finished programs are sent to the machine tools, where pieces are cut and reach the doorsteps of clients within 40-45 days from the date of order. To save time, ensure quality, and make certain that the pieces are cut in accordance with the company’s construction methods, Barker takes advantage of Cabinet Vision’s User Created Standards, or UCSs, which allow the automation of specific processes. Written in basic “if/then” statements, the UCSs are easy to both use and apply and are tailored to the unique needs of the company. Those processes may relate to, for instance, using a specific method to cut a particular type of material. The ability to modify a part or operation, add or link a part or operation, or delete a part or operation, are the three most common types of UCSs. 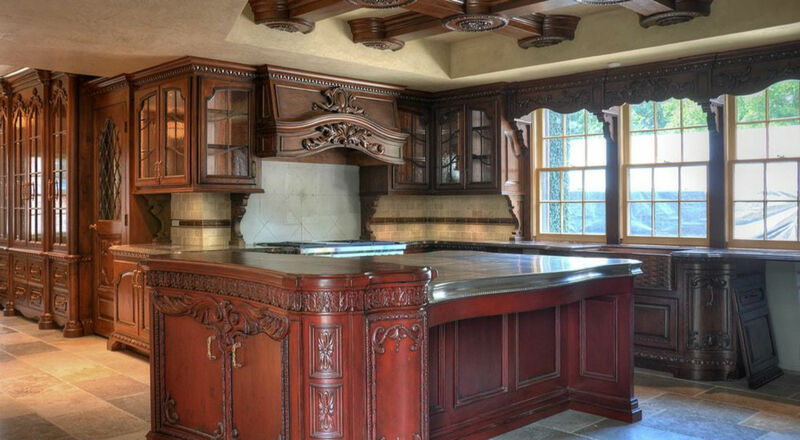 Barker has utilized Cabinet Vision’s flexibility to help create a construction method that is wholly unique to Barker Cabinets. Barker Cabinets employs approximately 45 people. 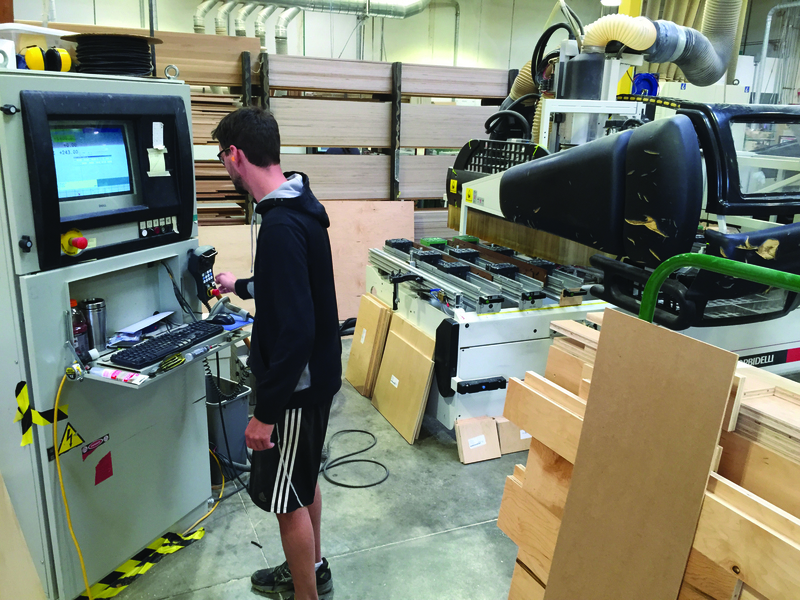 While Barker Cabinets has embraced the productivity inherent to CNC machining, it doesn’t scrimp on materials as production continues to increase. The plywood that the company uses is made in Oregon and the company that makes it is just down the street. “We can visit the manufacturer and talk to them,” Barker says. Each section of the website includes detailed installation information, including images and video tutorials, as well as pictures of necessary hardware and tools. It also includes information on how to measure for drawers, rollouts, and other custom pieces.